Cramlington Bowling Club welcomes new players and visitors throughout the season from April to September. Contact via their Facebook page. A friendly tennis club based at Alexandra Park in Cramlington. All welcome and all abilities catered for. Players can access tennis as a member, key holder & non-member so there is something for everyone. 1) Become a CCTP member, get loads of benefits that make your tennis cheaper and provide you with extra tennis opportunities: including discounts on coaching, matches, Wimbledon ticket ballot and a court key. 3) Become a ‘Key Holder’ you have no CCTP benefits other than a court key to access the tennis courts around CCTP usage. You need to provide your full details and can name up to 3 other players that will be playing with you when you use the key but the main key holder must be present when using the key. The North East’s biggest rugby league club. National Community Club of the Year. Home of Rockets Community. Teams from Rocket Tots to adults. All welcome! The Rockets currently train over 140 players spanning from U8’s to Open Age teams. They also run two Open Age Men’s teams, one in the North East Premier Division and one Merit team for our Youth players making the transition into the Men’s game. The club has 22 volunteers with diverse backgrounds, which include RFL qualified coaches, RFL accredited referees, a RFL Touchline Manager, catering staff, a treasurer, a child welfare officer and a club photographer. The club ethos is to make football fun and available to everyone. They are a community club with a community spirit who believe all children should have the opportunity to play organised football in a fun and safe environment. Cramlington Town F.C. are a FA Community Club – with age groups ranging from under 7 to Seniors. 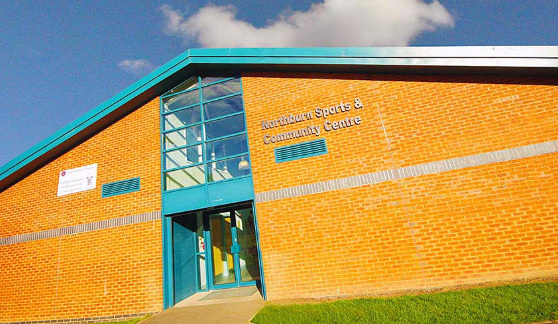 They provide football to 270 local boys, girls and adults and are based at Cramlington Sporting Club, with some of the best facilities available to junior/senior football. In May 2009 Cramlington Cobras merged with Cramlington Town F.C. senior team who play in the Northern Alliance League, and now Cobras hve become Cramlington Town F.C. The Committee felt that this was a step forward and would help secure and develop the club in the future and allow the players to progress from junior to senior football. Jane Percy House supports people with a range of disabilities including cerebral palsy, muscular dystrophy, spina bifida and arthritis, multiple sclerosis and disabilities resulting from accidents or a stroke. As well as providing physical care, it is committed to ensuring that people have control over their lives and are treated with dignity and respect at all times. Located in Cramlington, Northumberland, they provide accommodation and support for people with complex and high dependency needs, giving independence and lifestyle choices for adults with physical disabilities. It forms part of the nationwide network of disability support services provided by The Disabilities Trust. CSCS was created during last year’s summer school break (2017). we have been an active and established service within our community now for over 8 months. Based in Cramlington but help families and young people all round the Northeast. Collecting donations of Uniform for all the local schools and surrounding areas. expanding rapidly around neighbouring communities as the scheme grows. To exchange information and provide a forum for discussion about leasehold issues in Cramlington and the wider area. Manor Walks Shopping and Leisure is Cramlington’s leading shopping destination with over 100 High Street outlets, independent boutiques and eateries open seven days a week. The centre has everything you need for a complete day out so you can shop, dine and relax with retailers including Boots, Dorothy Perkins, New Look, JD Sports, Claire’s and an adjoining retail park with units including Next, Argos and TK Maxx. The centre has a wide variety of modern dining choices on offer such as Nando’s, Frankie & Benny’s and Sambuca or if you prefer something lighter, why not try one of the independent cafes including Kitchen and Bettini’s. Manor Walks is also home to the only multiplex VUE cinema in the county which includes the largest screen in the North East featuring all the latest blockbuster movies. The times below are for the Manor Walks Shopping and Leisure. For individual store opening hours please check the shops directory. St. Nicholas’ Church is the traditional church visible in the middle of the town and as such is a popular venue for weddings and baptisms. Several congregations using different styles of worship meet at St. Nicholas’ Church. The 8am Sunday service is quiet and reflective with little or no music. The 10am service on Sunday is a celebration for families and people of all ages. The Wednesday morning service is a quieter service but does include hymns. The Prayer and Praise service is free-style, using a variety of styles of worship and includes a lot of music.